Pheasant imaged layed onto polished stainless steel flask. 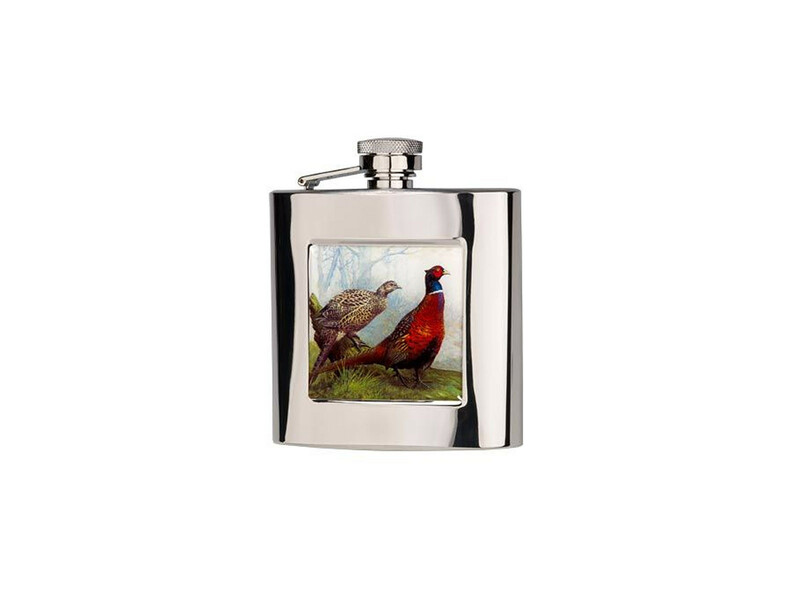 Pheasant imaged layed onto polished stainless steel flasks. Each flask is in its own presentation box with funnel.